I’ve been working to bring Pawns for iOS back as a 64-bit app, improving the graphics, and adding support for larger screen sizes. There will be new puzzle elements as well. 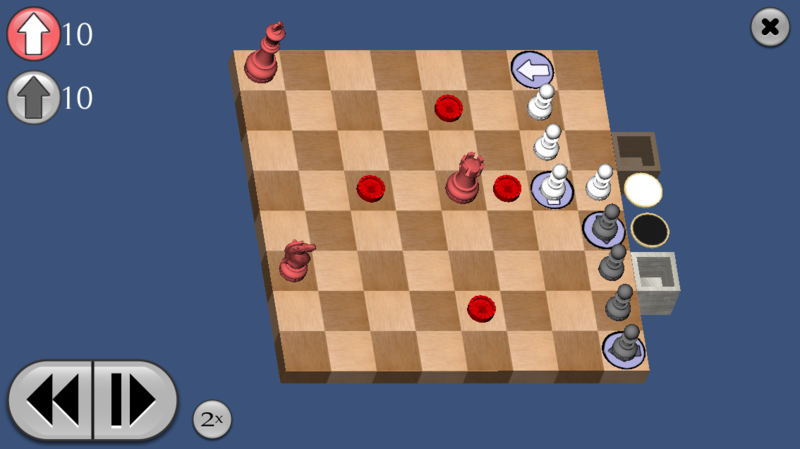 For example, this puzzle pits the usual black and white pawns against a new color- red! I’ll post more screenshots soon. 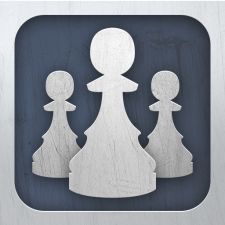 I hope to have Pawns back up on the App Store later this year. This entry was posted in Blog Topics, Pawns for iOS News on August 6, 2017 by Matt. Sorry to report that iOS 8 seems to have broken Pawns, at least on my iPad. I decided it would be best to take it down from the iTunes store. I hope to fix it at some point (and add support for larger screens) but I don’t have an ETA. This entry was posted in Blog Topics, iOS, Pawns for iOS News on September 20, 2014 by Matt. 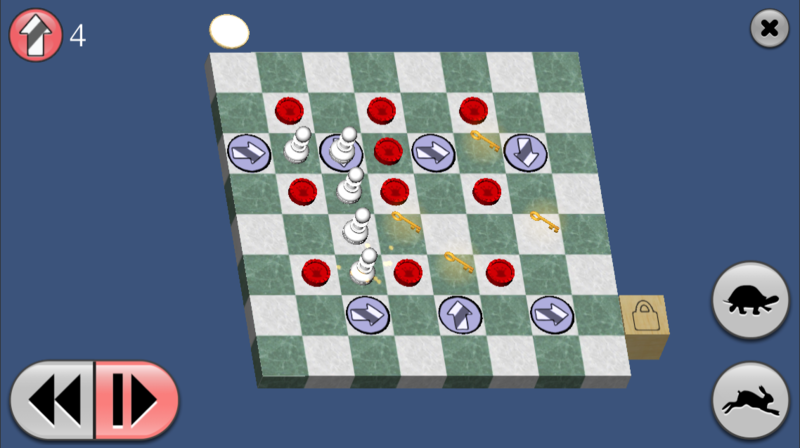 I forgot to mention here that Pawns was updated back in May. The main change was to remove OpenFeint– I blogged about the reasons for this decision earlier. But I also fixed some graphics glitches that were bothering me. And the keys glow now, making them stand out better on small displays. This entry was posted in Pawns for iOS News on August 4, 2012 by Matt. I just had a look, and I see that 22 people have now earned the Grandmaster achievement (that is, they have solved all the puzzles.) Congratulations! This entry was posted in Pawns for iOS News and tagged achievements, openfeint, Pawns on April 7, 2012 by Matt.